A beautiful hilltop retreat, and the gardens of a Medici Villa, beckons from the valley of Florence. 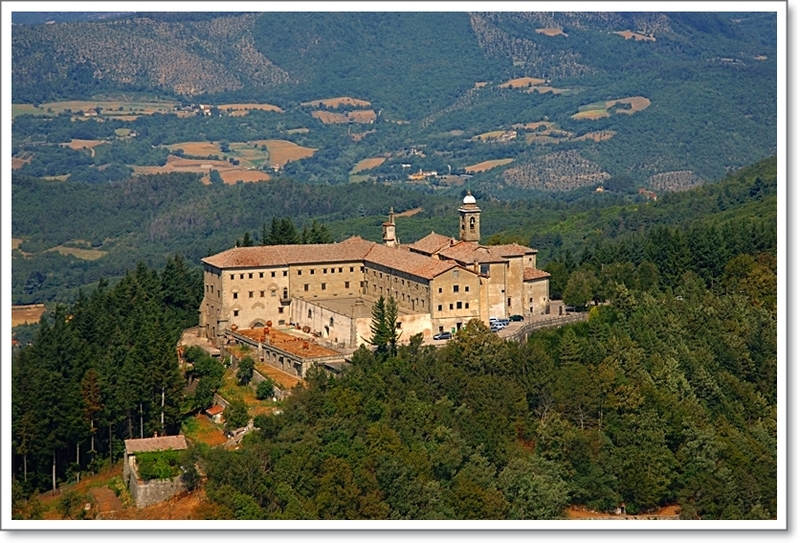 This easy day trip north from Florence takes you directly to both the Abbey of Monte Senario and the Villa Demidoff Parco di Pratolino. These are two little-known corners of Tuscany, rarely visited by tourists. Monte Senario, as it is now called, was one a wild, untamed, place where winds whistled through limestone caverns and wolves prowled the land. In the midst of religious upheaval in Florence, seven friars began a long and arduous journey in search of retreat, a place where they would avoid the temptations of the city. Hilltops in the Mugello, directly north of Florence, attracted the friars. It would be in the beautiful hills of that area, they believed, they would find the best, remote, location for their hermitage. Their struggles were rewarded when, in 1241, they reached the top of Monte (as it was called at the time) Sonario – named for sounds made by winds in local limestone formations. The small group immediately went to work on a house that would serve as their retreat. Over the centuries, the Servite order (named for their dedication to serve the Holy Mother) friars have built a large Basilica and many other buildings on their property. Why go? 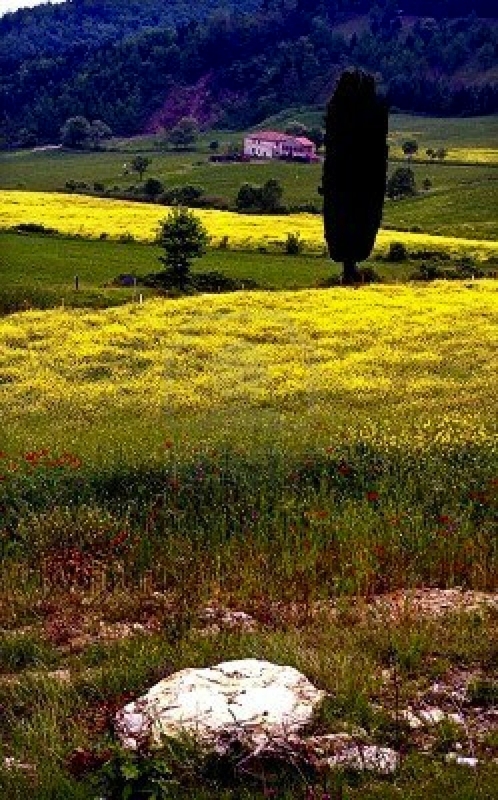 The hills north of Florence are famous for their beauty. Winding roads cut through forests, pass along vineyards and provide visitors incredible views. 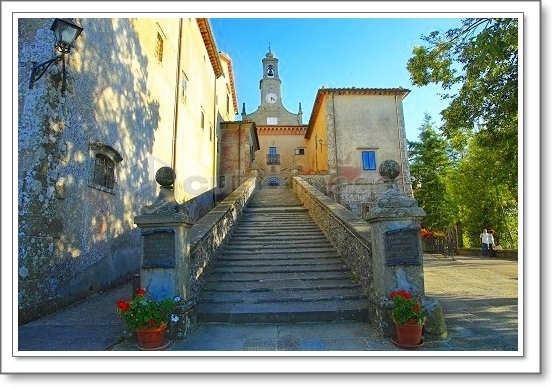 Between Florence and Monte Senario, you pass the gates of another famous Tuscan Villa, Pratolino. Built by Francesco I, First Grand Duke of Tuscany, the villa was completed in 1581. Designed by Buontalenti, Francesco’s favored architect and landscape designer, the villa has recently been restored. Why did Francesco choose such a remote site for this villa? His mistress, Bianca Capello, desired a county home. The gardens were completed before Francesco’s marriage to Bianca in 1579. 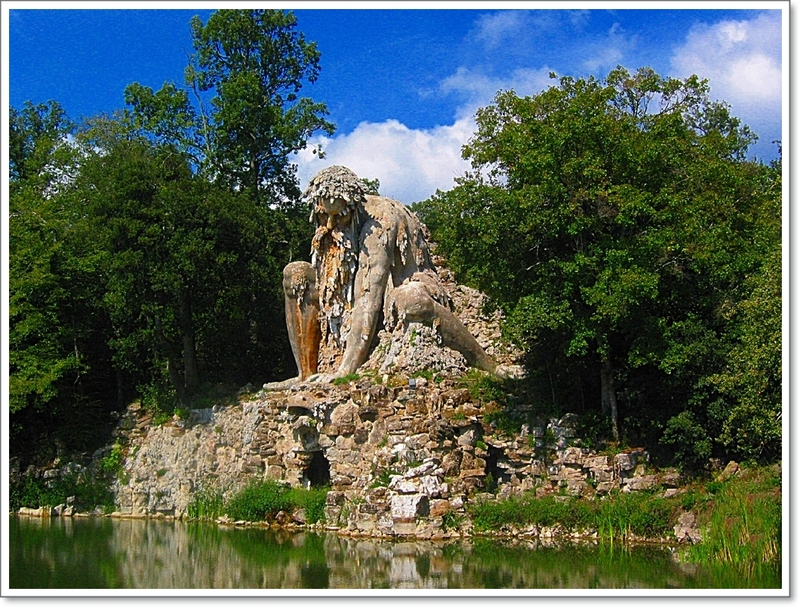 Gardens with monumental statuary, including one of “The Colossus of the Apennines” over twelve feet tall, provide a shady and cooling retreat for visitors. The gardens evoke a sense of Romanticism, an intentional decadence and decay that still attract those fascinated by Italian, specifically Tuscan, gardens. The original Pratolino gardens were categorized “Mannerist”, a style that includes water features and statuary with water hydraulic systems that animate man-made structures such as doors, gates and playful water games. After Francesco’s and Bianca’s deaths, the villa fell into disrepair. It was, after over 100 years of abandonment, that the villa was demolished. Leopold II, former Grand Duke of Tuscany, sold the property to a Yugoslavian prince, Pavel Pavlovich Demidov. He wished to have a residence on the grounds and set about restoring the original building where the Pages that served Francesco and Bianca lived. Hence, the current name of Villa Demidoff. He also had the gardens redesigned in the English style. While retaining some of the large sculptures that were built at the time of the Medici, he focused on simplifying the layout of the gardens so that they were easier to both maintain and explore. 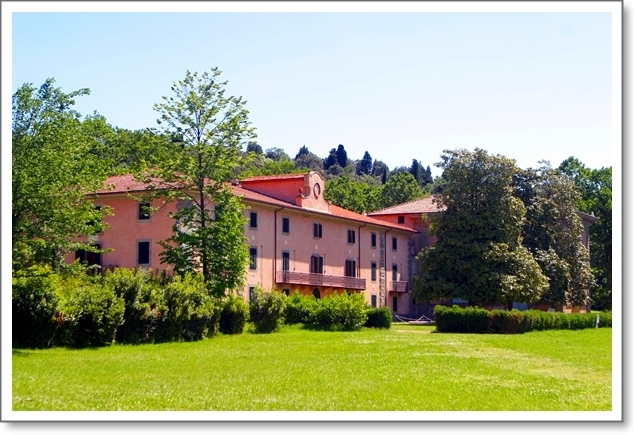 The property, which the prince expanded from approximately fifty acres to nearly two-hundred, is now the property of the province of Tuscany. The grounds, park and villa are truly worth a stop during your travels further north to the Monte Senario complex. So it is on an easy day trip from Florence. From the remains of a powerful Medici Grand Duke and the moneyed influence of a Yugoslavian prince you arrive at a place of retreat and sacrifice where friars gave everything away in dedication to their religious beliefs. from April 1, 2018: All Fridays through Sundays 10:00am – 8:00pm. Beginning October 1, the park closes at 6:00PM. The park is closed for national holidays with the exception of Liberation Day (April 25th) and Labor Day (May 1st). The park is open on these two Sundays even though they are National Holidays. Visits during the week there is a charge for visits. Please request further details directly from the management via email listed above. Take SR Route 65 NORTH toward Pratolino.